Yo! I’ve got a couple of channel setups on USD/JPY and EUR/AUD that the trend riders out there may like. Check ’em out! USD/JPY has been trending lower for a while now. Not only that, the pair has been trending lower while bouncing up and down inside that there descending channel. As I always say, one of the more conservative ways to play a descending channel is to look for opportunities to go short when the pair is at or close to the channel’s resistance area. Unfortunately, the pair is currently at the channel’s support area. Even so, y’all may wanna put this pair on yo watchlist because sooner or later, the pair may move back up to test the channel’s resistance area, which should be somewhere between the areas of interest at 109.80 and 109.30. Do note, however, that if bullish momentum is so strong that the pair stages an upside breakout and smashes past 111.80, then it’s game over for them bears. Y’all may wanna bail yo shorts or even switch to a bullish bias if that happens. 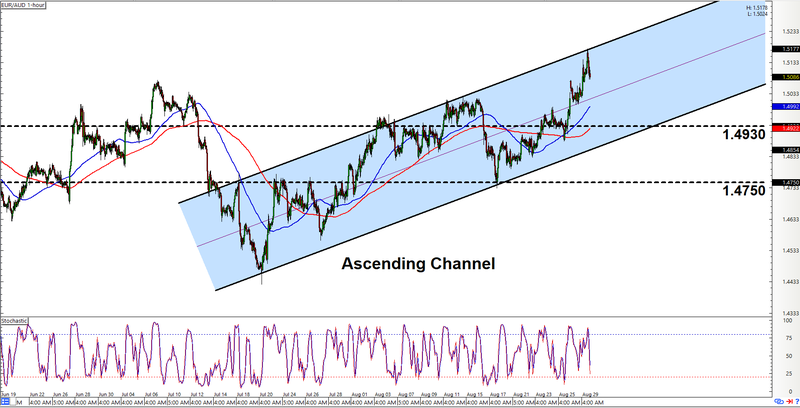 As y’all can see, a freshly minted ascending channel has recently formed on EUR/AUD’s 1-hour chart. Unfortunately, the pair is currently testing the channel’s resistance area, so y’all may wanna put this one on yo watchlist and wait it out until the pair goes back down. And if or when the pair does move back down, then them bears will likely be gunning for the channel’s support area at or just above 1.4930, so make sure to keep an eye on that price area. As usual, there’s always a slim chance for a downside channel breakout, so y’all may wanna prepare for such a scenario. 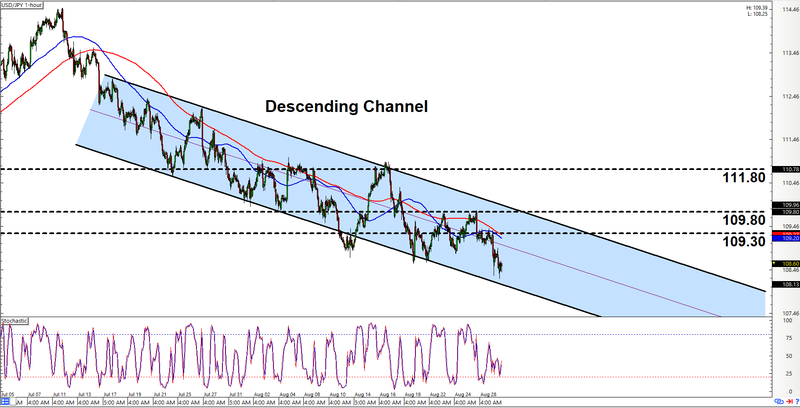 The pair needs to clear 1.4750 in order to validate the downside channel breakout, though. In any case, just make sure to remember to practice proper risk management, a’ight?